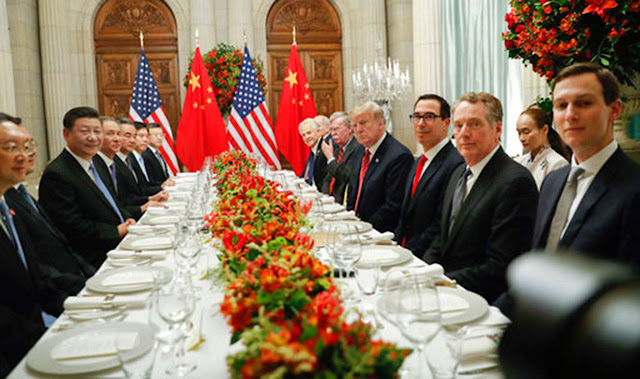 EconomicPolicyJournal.com: Out of the G20: Trump Will Not Raise Tariffs on China 'At This Time"
Out of the G20: Trump Will Not Raise Tariffs on China 'At This Time"
President Trump has agreed that he’ll leave the tariffs on $200 billion worth of product at the 10% rate, and not raise it to 25% “at this time,” following a dinner between Trump, China's President Xi Jinping, and aides to both presidents, reports Bloomberg. 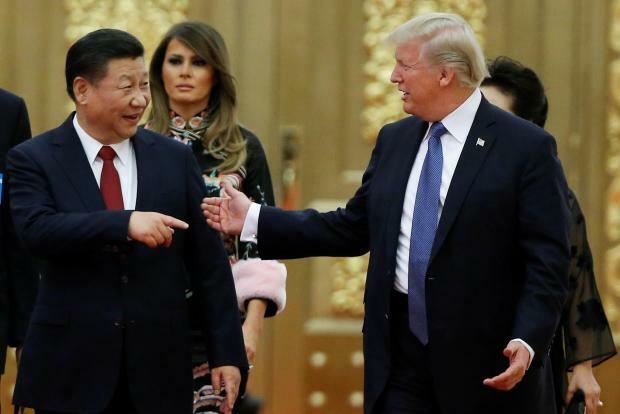 In return, China has agreed to purchase a “very substantial” amount of agricultural, energy, industrial and other products to reduce the trade imbalance, per White House. Trump's top economic adviser Larry Kudlow said the meeting went “very well” per Bloomberg. RW note: The trade imbalance/deficit is not a problem. Xi agreed to designate fentanyl as a controlled substance, “meaning that people selling fentanyl to the United States will be subject to China’s maximum penalty under the law,” Sarah Huckabee Sanders says.